The RC-5000 sets the standard of modern eye diagnostic. Thanks to the electronic controlled movement you can operate and align the RC-5000 through both, power motion joystick and/or touch screen, all this in fraction of seconds. Highly accurate measurements combined with the very short examination time and easy handling makes working with the TOMEY RC-5000 professional and quick. The 5.7 inch colour touch screen is used as operating monitor as well as for displaying all measured values. You can even move the head in all directions by simply touching the screen. All commands can be done via touch screen. Once you have captured your patients’ eye you can set the pupil and cornea measurement bars to individual diameters. These values will also be stored, displayed and printed. 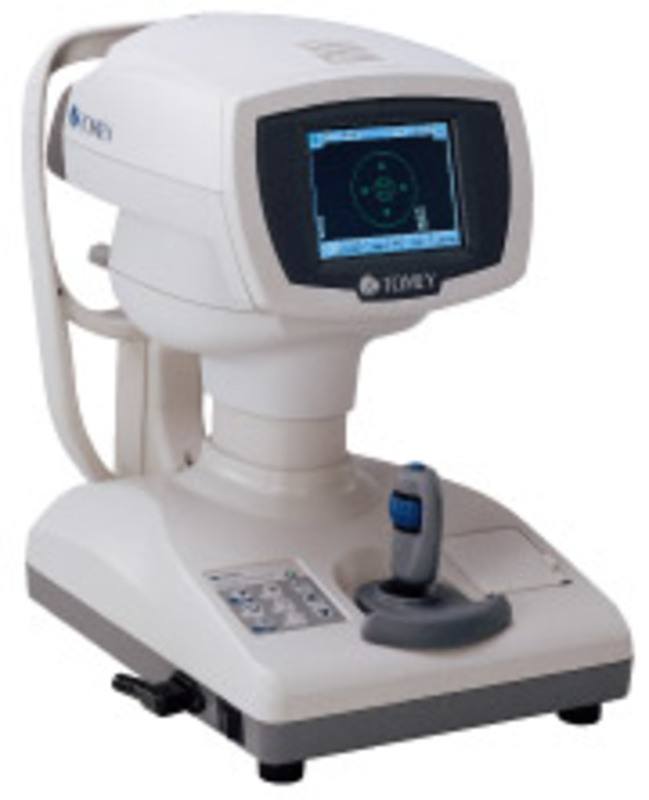 The handling of the RC-5000 is very easy – by aligning the optical head towards the patients’ eye the fine adjustment and automatic shot is automatically taken over by the instrument itself. Moving from right to left eye is done just with a tip on the screen. The RC-5000 provides you the central (ø 3 mm) and peripheral (ø 6 mm) keratometer readings measured at one time within a second. You can take these readings from a cornea or the back surfaces of a RGP contact lens.